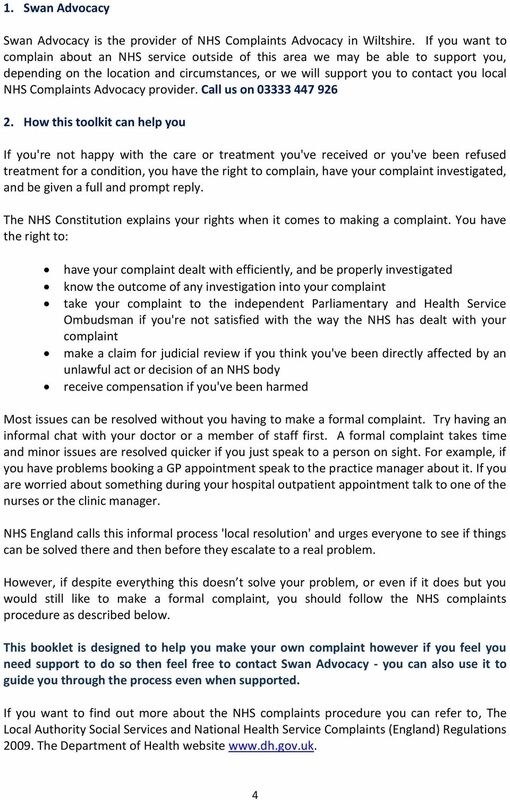 Download "A step by step guide to making a complaint about the NHS"
NHS Complaints and raising concerns This document is a guide to help you raise concerns yourself Raising concerns and or making a complaint can be quite daunting and can often be quite a negative experience. How did we do? Promoting hope and wellbeing together. 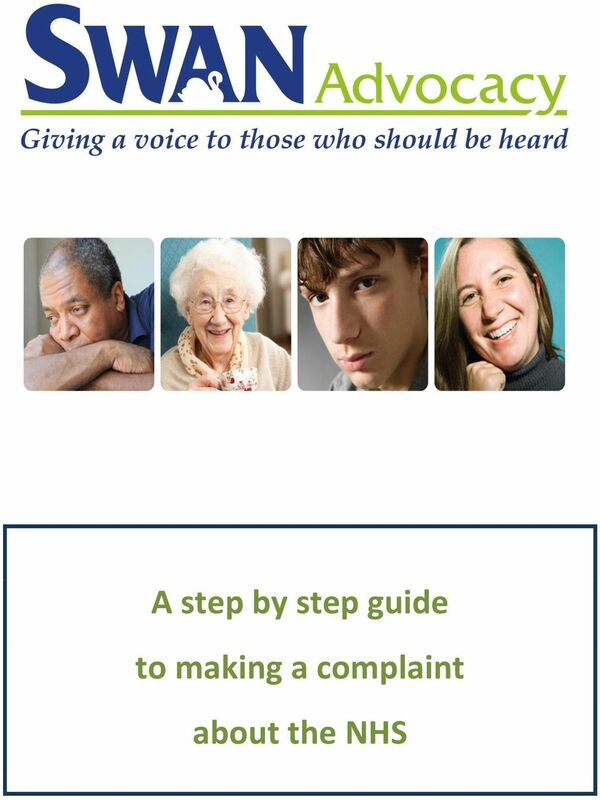 How to raise a concern, make a complaint or give a positive comment about one of our services. 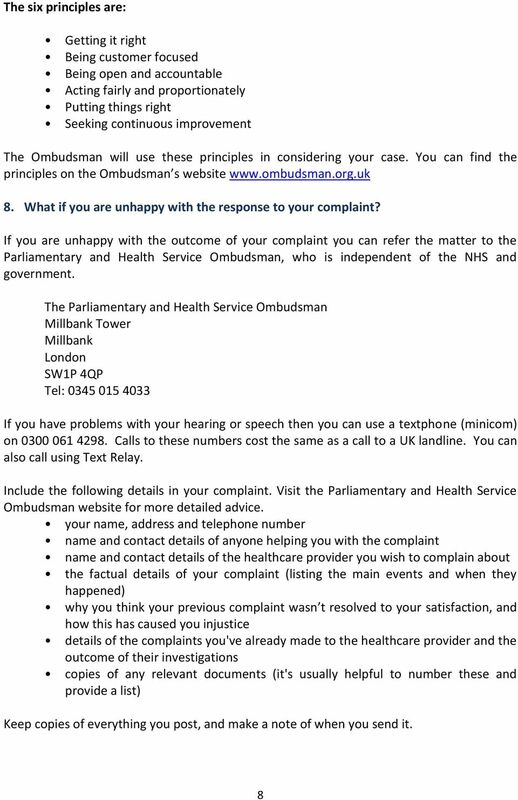 What cannot be pursued through the complaints process? 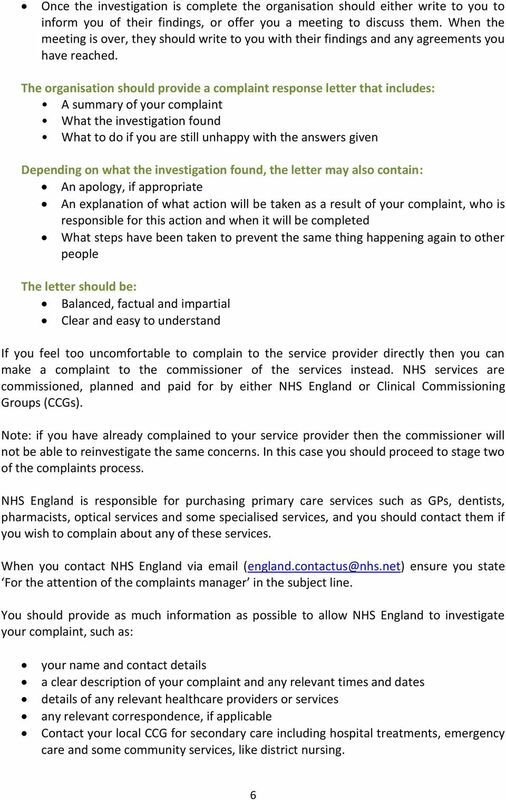 Making an NHS Complaint If you are unhappy about any aspect of NHS care or treatment, or have a complaint about Public Health provision you or others have received, you can raise your concerns about it. 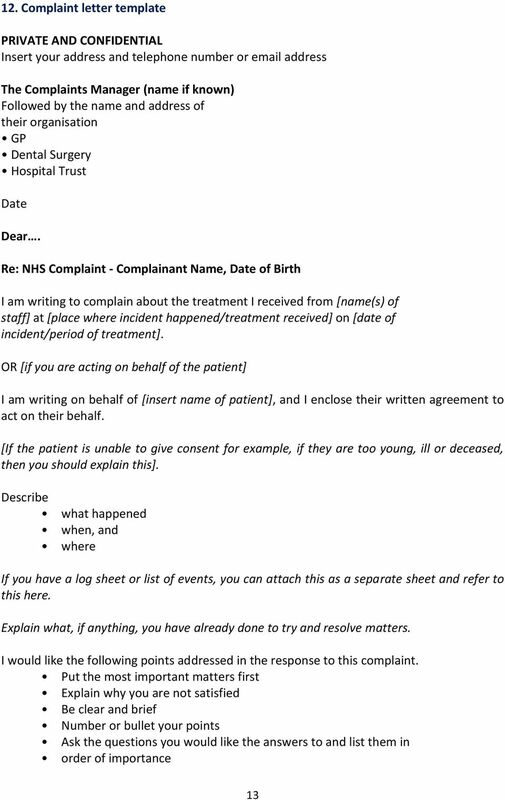 This guide will help you to prepare a complaint letter and provide information regarding where you should send your complaint to. 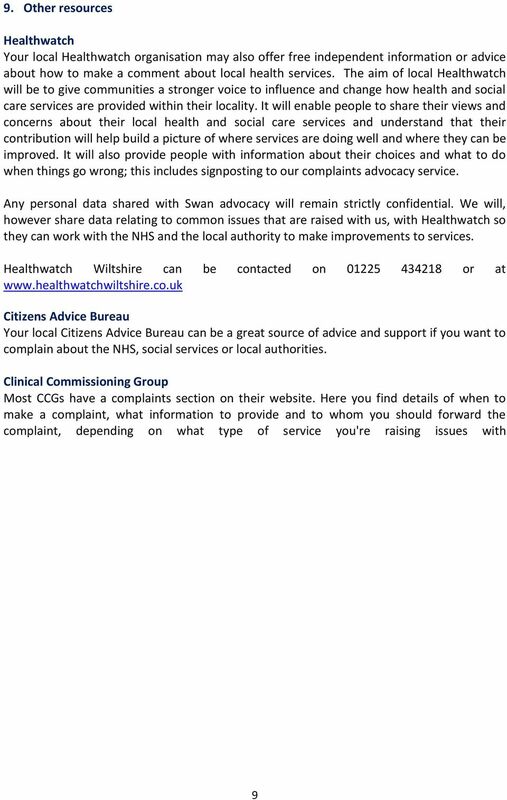 The Healthwatch Newham guide to local complaints services. 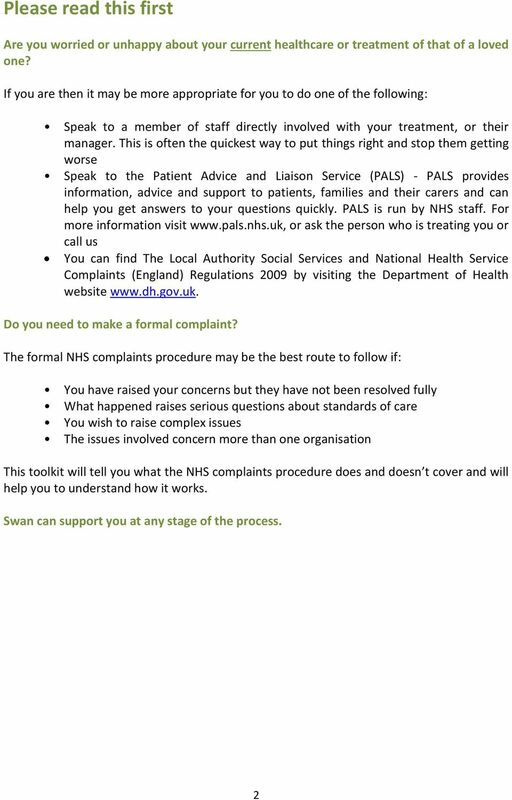 PATIENT INFORMATION LEAFLET How to make Comments, Suggestions and Complaints This leaflet explains how you can make comments, suggestions and complaints about the services provided by The Hadleigh Practice. 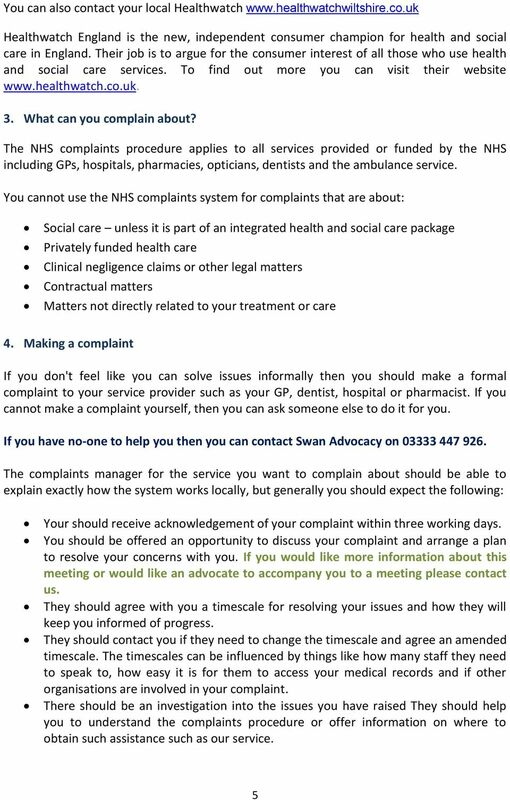 Complaints procedure This leaflet explains what to do if you have a complaint about any aspect of our service. 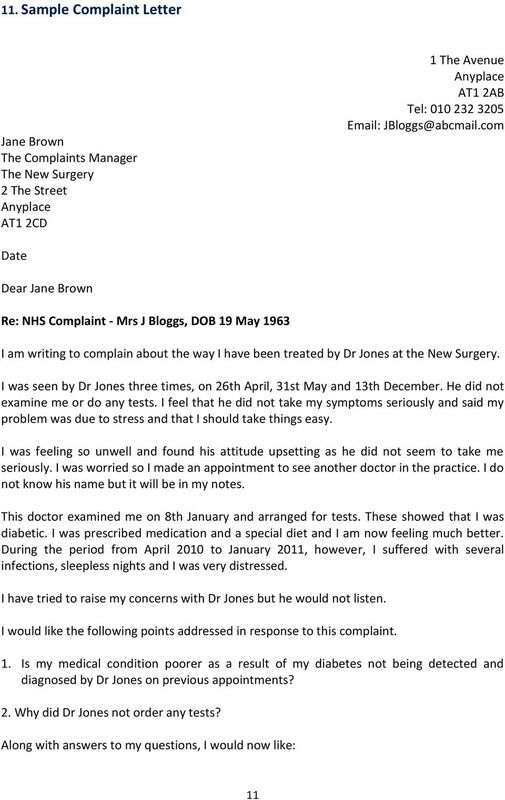 We treat all complaints seriously and aim to resolve them as quickly and fully as we can. 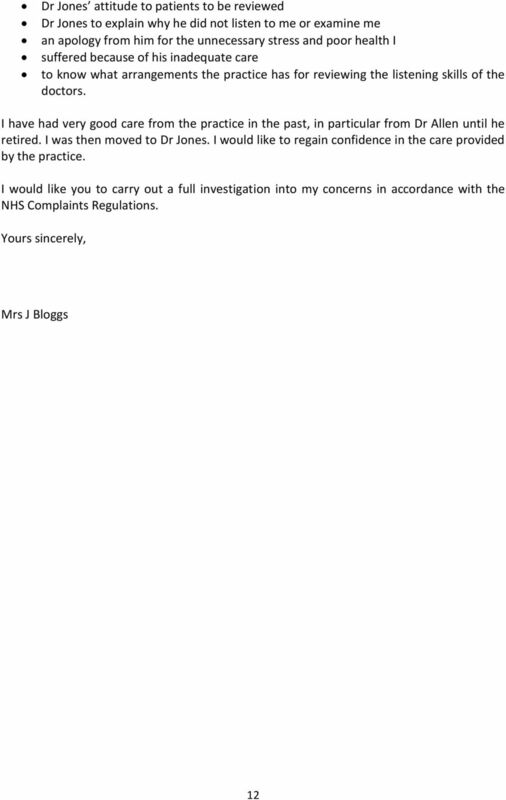 Making a Complaint. 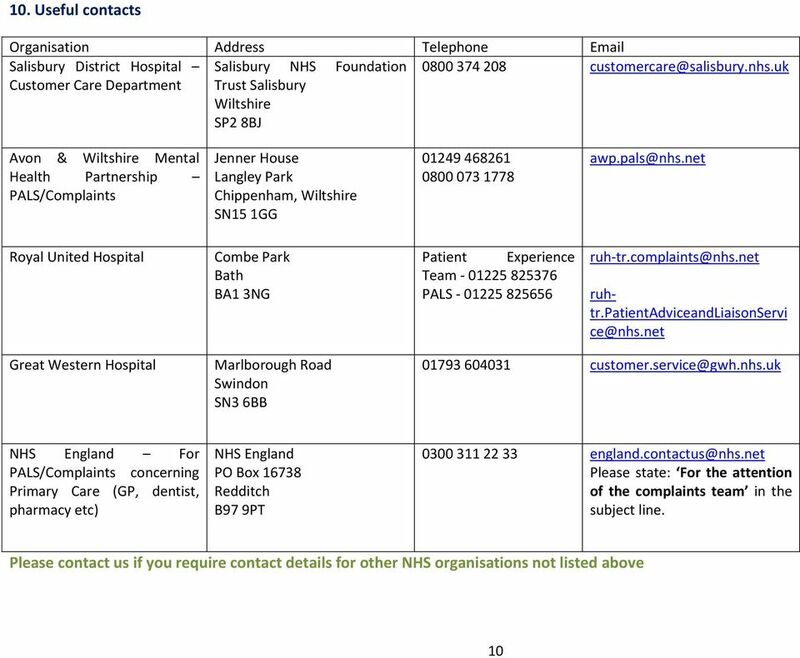 The Trust is dedicated to listening, responding and improving our services when a complaint is made. 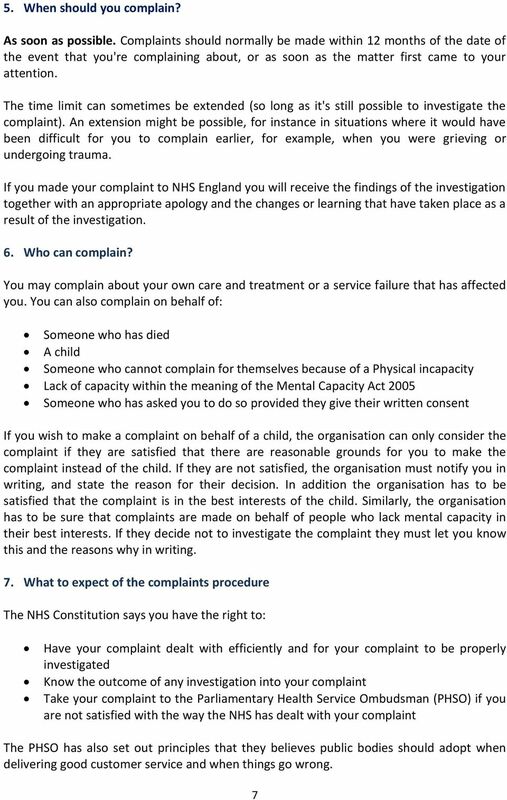 NHS Complaints Handling: Briefing Note. 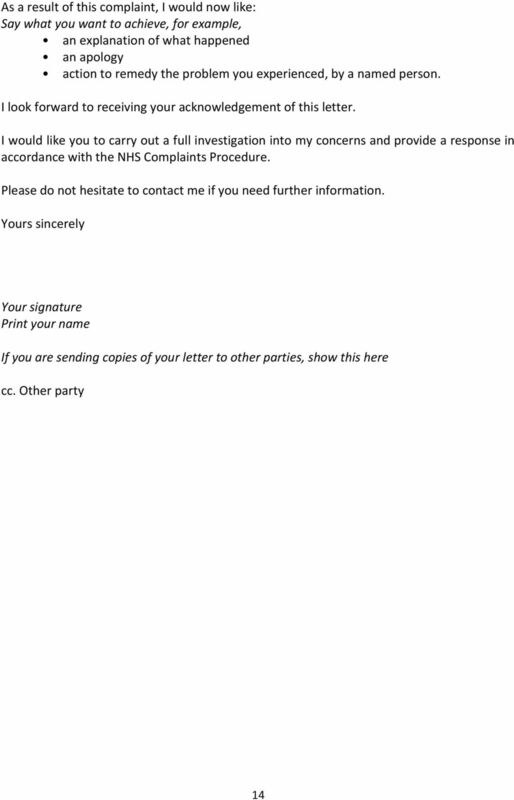 The standard NHS complaints procedure can be used for most complaints about NHS services. We are happy to discuss your concerns and are always ready to listen to your comments and views on the care we provide.